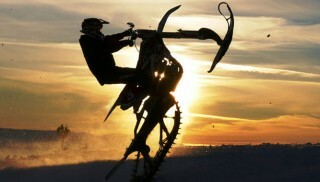 Sweden’s Adam Thomelius is a snowmobile freestyler who is lucky enough to still be riding in the middle of May. Not only is he still riding, but he’s pushing the boundaries of gravity as this Instagram video shows. 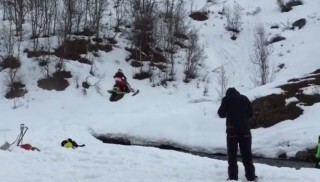 Thomelius scales what looks like a very steep hill and pulls off an insane backflip when he crests the top. 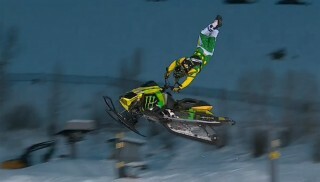 We’d suggest you not try this at home.